A lot of people going on a Royal Caribbean cruise find the idea of getting a drink package quite attractive, primarily due to the convenience and potential value offered by the drink package. However, a drink package is not an option for everyone, and there are some great alternatives to getting a drink package that will not break your budget while still allowing you to enjoy your favorite drinks onboard. Don't get us wrong, a Royal Caribbean drink package works for a lot of people who really enjoy the options it provides. But we also hear from a number of readers who like to enjoy a few drinks, but fear a drink package will not be financially viable for them. As a result, we came up with some strategies to enable those people to enjoy drinks onboard without feeling like they are overpaying for drinks. If you are considering if a Royal Caribbean drink package is worth it, or are looking for other options, here are some good strategies we have used on past cruises. Within a few minutes of visiting any port your cruise ship goes to, inevitably you will start seeing advertisements for inexpensive alcoholic drinks. Many ports of calls drink prices are far cheaper than what you may find onboard your ship, and that means you can take advantage of the lower prices on shore. Finding bars or vendors selling inexpensive beers, cocktails and more is not usually difficult. Drinking on shore is quite popular, and so, bars and restaurants are usually abound with great drink specials. Obviously drinking on shore does not help with enjoying a drink onboard your Royal Caribbean cruise, but on itineraries that are port intensive it can be a great stategy for offsetting the need to drink onboard in the first place. In this "age of the drink package", it is often lost in discussions that Royal Caribbean runs a lot of drink specials onboard throughout the cruise. Even before drink packages became a popular choice, drink specials were an option offered for years. The key to finding a drink special is to spend a little time seeking them out. 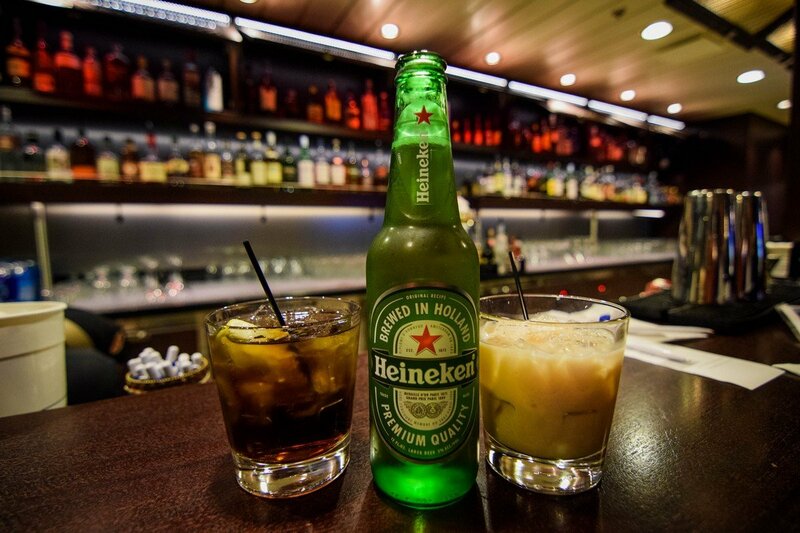 Drink specials are most often advertised via two means: a sign on a bar, and/or an ad in the Cruise Compass. Some drink specials are for certain times, while others are offered for part of the cruise. The key is to seek them out and take advantage of the drink specials to ensure out of pocket costs are low(er). One of the oldest, and yet most well-known drink special, is the drink of the day. This is a cocktail picked out daily that is reduced in price, usually about 25% or so off the normal price. The drink of the day is a great choice for saving on drinking costs, and something offered throughout the day at all bars. Have you heard about something where you can pre-purchase 10 drinks for a set price? Usually the price is somewhere between $75-85 and you can share the drink card with anyone you want. That means a $12 cocktail would cost you really about $7.50-$8.50 each with the drink card. Sounds perfect, right? Well, the drink card is not available on all ships or sailings. It is something Royal Caribbean can offer, but there is no way to know if it will, nor can it be pre-purchased. It is a sort of gamble that you need to hope for to become available on your sailing. If the drink card is available, it usually becomes available around half way through your sailing, so on a 7-night cruise, it might show up on day 3 or 4. Again, there is no means of which to know if a drink card will be available on your cruise with any kind of certainty. This tip only applies to guests that are at least Diamond level in Royal Caribbean's customer loyalty program, the Crown and Anchor Society. Diamond members and above are entitled to complimentary drinks each evening of the cruise. Primarily, you get unlimited drinks for a few hours in the Diamond Lounge, although Royal Caribbean does allow Diamond members to get an additional 3 drinks per evening at any bar or lounge during the same time period. The drinks available to Diamond members is somewhat limited, but you cannot beat the price. Usually there is a three hour block of time for Diamond drinks, taking advantage of this perk means not having to pay out of pocket for drinks in the hours leading up to dinner. If you happen to be a suite guest, you are entitled to take advantage of complimentary drinks in the Concierge Lounge. Similar to the Diamond Lounge, this is an exclusive area for suite guests, where you can enjoy a variety of complimentary drinks. Just like the Diamond Lounge, the complimentary drinks are available for a few hours each evening. Keep in mind you are free to take drinks out of the Concierge Lounge and venture out around the ship (same with the Diamond Lounge). Did you know that Royal Caribbean allows guests to bring up to two bottles of wine per stateroom on their Royal Caribbean cruise? 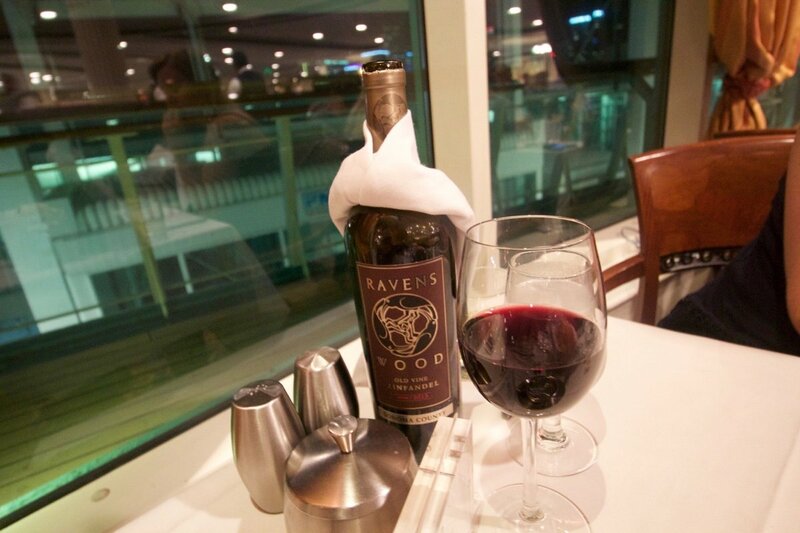 Each bottle of wine may be up to 750ml in size and should be brought on in the luggage you carry onto the ship. Do not put the wine in the luggage you hand over to the porters on embarkation day.